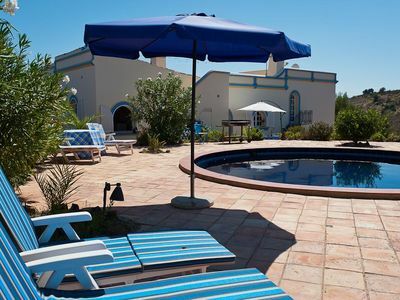 Luxurious Family-Friendly Villa, 4 Bedrooms/Suite and Pool, AC, Beach - 200 m.
Beautiful and luxurious property located close to the beach of Galé (5 minutes walking), municipality of Albufeira. Galé is one of the most beautiful beaches in Algarve, which extends 5 km from the coast. There you can enjoy unique hiking at any time of the day. 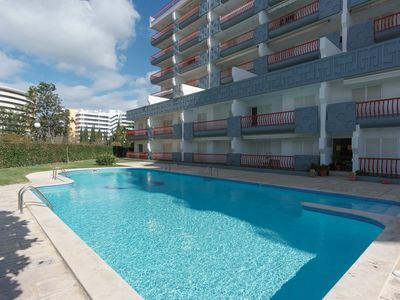 The property is fenced and has a nice private pool with 65 m2. The house, with its modern architecture, has 420 m2 of built area, spread over 3 floors. 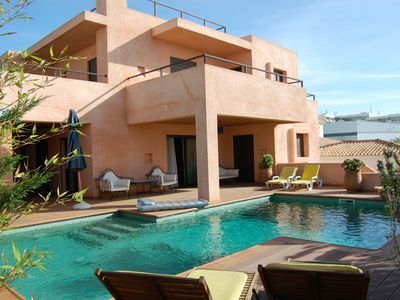 It has 4 double bedrooms on the upper floors, with private bathrooms and large terraces with beautiful sea and sunset views . 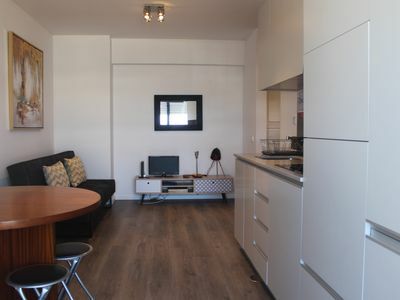 On the ground floor there is a large and comfortable living room with 50 m2, which has TV and stereo, and a confortable dining area. 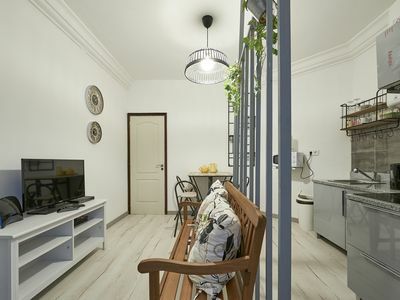 The large kitchen, also located at the ground floor, next to the dining area, is fully equipped and has an independent access to the terrace and outside dining area and barbecue. Next to the kitchen and entry hall you will find a toilet. Outside the house, the pool is framed in green surroundings. 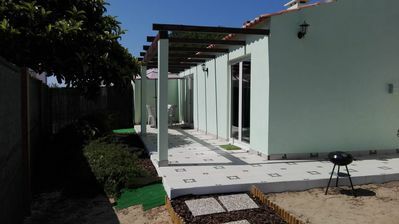 On the outside there is also a covered terrace and a dining area, close to the barbecue. 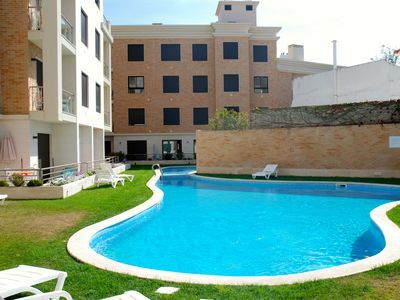 The pool has seating areas, with lounge chairs to help you enjoy the sun in privacy. 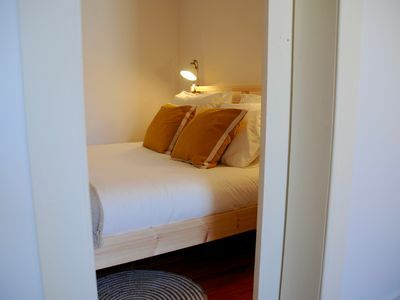 At the basement, the property provides a private space for parking, for 2-3 cars . 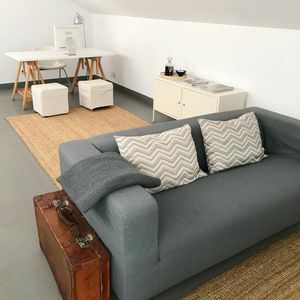 At the basement there is a laundry area , with washing machine and dryer, a gym with fitness equipment, and a large games room with pool table, sofas and a piano. The sofa are also sofa bed, for extra guests. Next to the games room there is a fifth full bathroom to support also the pool and the gym. Parking, inside or outside the property is guaranteed even in high season. 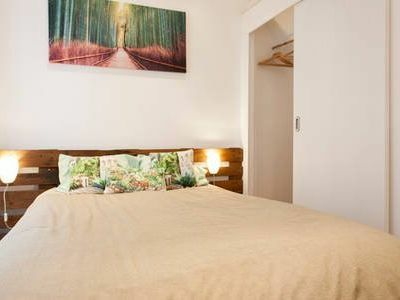 Available wireless internet and cable TV, bed linen and towels for all the family. 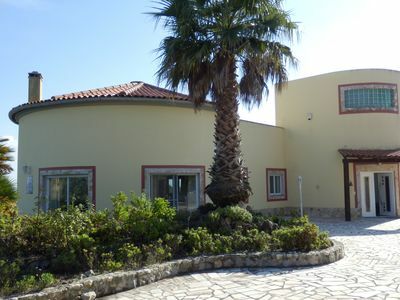 The villa is facing south, while enjoying magnificent views of the sea the coastline, and spectacular sunset . The swimming pool, barbecue, sun terraces and garden, will offer you the peace and unforgettable moments in this modern and luxurious villa. 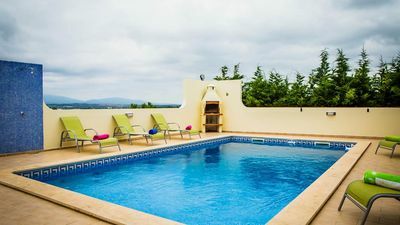 The villa is fully underfloor heating for colder days, and air conditioning in the 4 bedrooms. 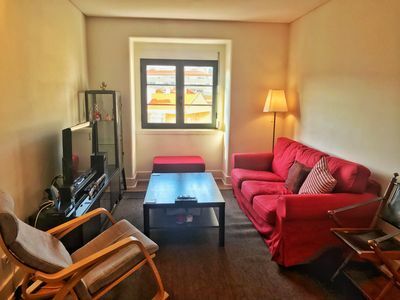 The property is located in the urbanization of Galé which boasts a high quality gourmet supermarket Apolonia, located 50 meters from the property. The famous Golf Course "Salgados," which features 18 holes, is located at 2 km, with easy access. 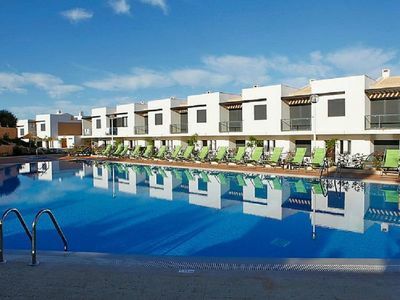 The Albufeira region is internationally recognized as one of the areas of greatest quality of the Algarve, whose historic center is located 6 km from the property. In Galé you will find the best restaurants, some with international recognition. In this area there is also a great variety of pedestrian paths, for those who like to walk and enjoy nature. Casa Nirvana, a good place to be! 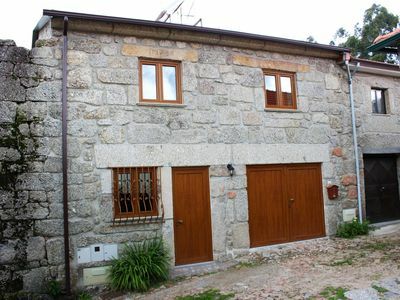 Casa de Sá - House for up to 8 people in Gerês!